With the change of regime, one Tunisian Muslim lady is planning to return to her homeland proudly wearing her hijab. The hijab (muslim woman’s head dress) recently received new status in Argentina and Tunisia. In the South American country of Argentina, thanks to historic legislation passed by Argentine President Cristina Fernandez and her government, Muslim women are now allowed to wear the hijab in public places and in pictures for national ID cards. Across the Atlantic in the North African state of Tunisia, the hijab is also making news. Since the deposed dictator Zine el Abidine Ben Ali and his regime are no longer in power, Muslim women are reverting to wearing the hijab. Journalist Yvonne Ridley reported that under Ben Ali’s leadership the hijab was rejected as being foreign and not a part of the Tunisian culture. Along with the hijab,other important institutions of Islam were discouraged, some banned from state television, including the adhaan, Muslim call to prayer and signal of the start of fasting during Ramadan. Ms. Ridley also recounted her recent reunion with a Tunisian woman whom she had met at a protest in 2006 outside the Tunisian Embassy in London.At that time, the woman spoke of the religious persecution she endured which forced her to seek refuge in London with her “hijab still in her pocket”. However with the change of regime, the Tunisian Muslim lady is planning to return to her homeland proudly wearing her hijab. Though different, the hijab story from Argentina presents similar good news to the world. In this instance, it was the stroke of a pen in recognition of religious freedom,rather than a revolution, that put the spotlight on the Muslim woman’s head scarf. 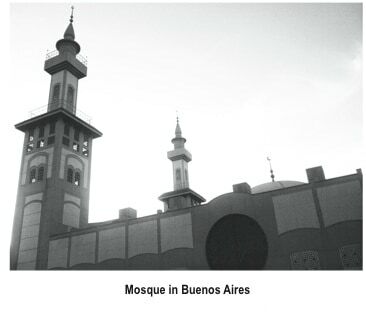 A Press TV news service correspondent in Buenos Aires reported that Muslims, who make up about 2 percent of the population in the majority Catholic, Latin American country, welcomed the news. The president spoke of her government’s commitment to enforce the new law, which is intended to promote freedom of religion. The law also aims to assist the Muslim community in the practice of Islam without discrimination. Even though Argentina and Tunisia are on separate continents, each with a unique language and culture, today they seem to be sharing a common bond. The Muslim woman’s symbol of modesty – the hijab – is being worn with new fervor in two countries that allow women freedom to dress in accordance with the laws of Islam.